Great reviews for Brass Britannia! Brass Britannia, Capital BrassWorks’ latest recording, has received rave reviews from both the International Trombone Association and the International Trumpet Guild. If you haven’t purchased your copy yet, you can order it right off the web site by going to the Recordings page and clicking on the “Add to Cart” button next to the Brass Britannia CD information. Payments are processed using PayPal. Posted in recording | Comments Off on Great reviews for Brass Britannia! 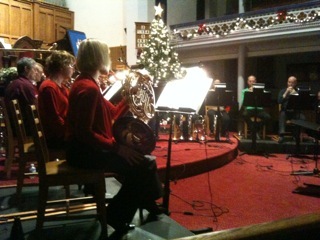 Festive Brass 2011 a Success! 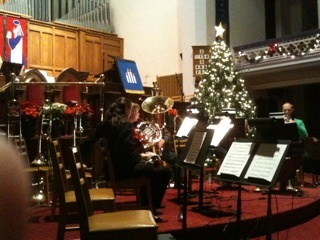 Thank you to all who came out last week to our Festive Brass 2011 concert! It was a definite success with one of our largest crowds yet and a good dose of festive tunes to usher-in the Holiday Season. 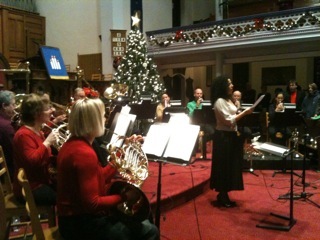 The Centretown Emergency Food Centre received donations at the concert which exceeded $1,000 and were matched dollar for dollar by an anonymous donor. What a wonderful way to show your support for the Centertown community. On behalf of Capital BrassWorks, Merry Christmas and Happy New Year! And don’t forget to set aside some time on May 1, 2012, for our French Festival concert! Canada’s National Art Center Orchestra (NACO) has been on an Atlantic Canada Tour since November 13. Many Capital BrassWorks members are also part of NACO and are therefore on tour at the moment. Despite a busy concert schedule, they still managed to find time for a little fun backstage at the Arts and Culture Centre in St. John’s Newfoundland. 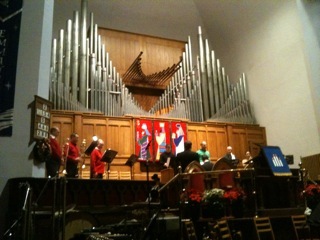 Left to right: Elizabeth Simpson, Karen Donnelly, Don Renshaw, Douglas Burden, Jill Kirwan, Steven van Gulik. 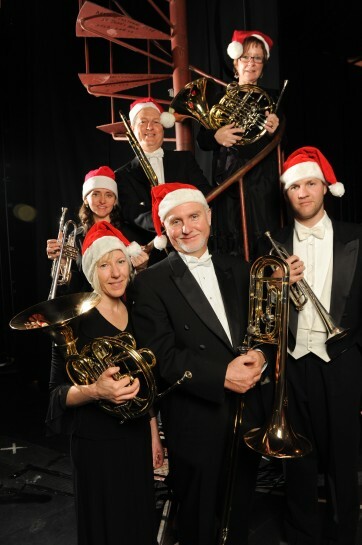 We hope you’ll be able to join them and the rest of the group at their up-coming Festive Brass 2011 concert on the evening of November 30th. It’s a great way to usher-in the Holiday Season! Capital BrassWorks is proud to finally add previews of their latest recording, Brass Britannia. If you haven’t checked-out their newest CD release, not only can you read what is performed on it, now you can hear it too! 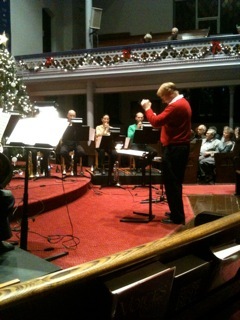 Capital BrassWorks is proud to present two new concerts for their 2011-2012 season. Tickets can now be purchased online!